These are the words of Myrna Hoed who has been a facilitator for over ten years. She recently joined the great family of Knowmads. She was a student coach in both the ‘Spring School’ and ‘Summer School’ programmes and from October 29 she will also be joining us at the ‘Autumn School’ in the Spanish Pyrenees. Myrna compares this process of transformation to a dance that is never linear because everyone has their own rhythm. And when something unexpected happens during the journey, she likes to stay and work on it and use it as a starting point. In fact, to her, it is sometimes the things that happen by chance that represent the best gift you can receive, in terms of intuitions on how we relate to the changes in our lives or how we respond to unexpected situations. 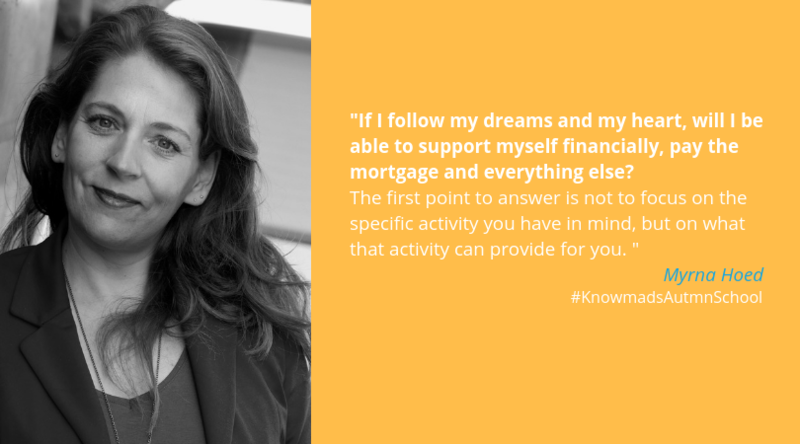 And this is exactly what Knowmads is: a place that gives people the opportunity to discover who they are and how they want to achieve success, in the sense of an enriching and fulfilling life. Knowmads awaits you for the next edition of his traveling trip, with Knowmads Autumnschool, at the end of October in Spain!